There are some Fixture changes to the Mens Competition Diary in December and January. These can be found in the Mens Fixtures page or on the Upcoming Events Calendar marked RED on the right hand side >>>>>>>>>>>>>>>>>>>>>. 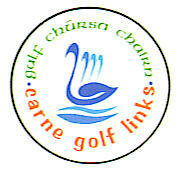 In short the start of the Winter League has been put back to January 6th to facilitate the running of the PJ McHale Strokeplay (Dec 23rd) and Kennedy Motors Open Stableford (Dec 29th) competitions which have been rescheduled from earlier in the year. 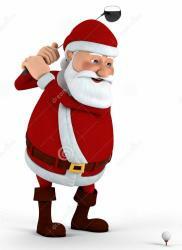 The Christmas schedule is completed with the Kenny Concannon sponsored competition on St Stephen's Day, the Jackie & Patricia Coyle sponsored competition on December 30th and the New Year's Day Mixed Scramble on January 1st with a shotgun start at 1030 am.